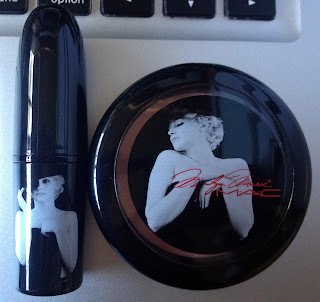 When this collection was released a few weeks ago, I really wanted to buy the Love Goddess lipstick. 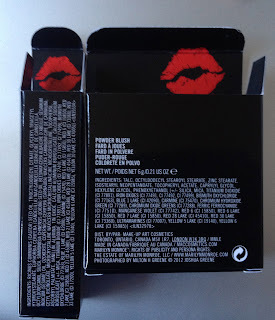 However, the lipstick retails for AUS$38 which I thought was excessive when it was priced at US$16.50 and CDN$20 (although they also have to pay taxes on top). The majority of the collection sold out within hours when it was released online on the US MAC website. Similarly, when Nordstrom, Bloomingdales and Macy's released the collection a few days later, they also sold out really fast. 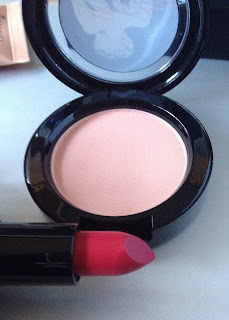 Luckily, a friend in Canada was able to get me the Love Goddess lipstick and the Legendary blush. She took it with her to California (had a holiday there) and shipped it to me from there. It arrived in 8 days and cost less than $5 in shipping! (She used USPS First Class International Shipping). The lipstick is very pigmented and reminds me of my Elizabeth Arden Cranberry Cream Lipstick (review here: http://shoppingqueenjen.blogspot.com.au/2012/09/cranberry-cream-lipstick.html). 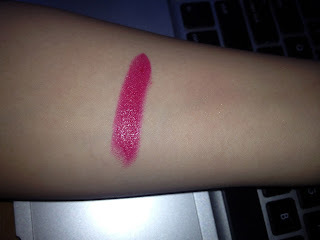 I find that the Elizabeth Arden lipstick is creamier, although this comes a close second. It's described my MAC as a "midtone pink red". 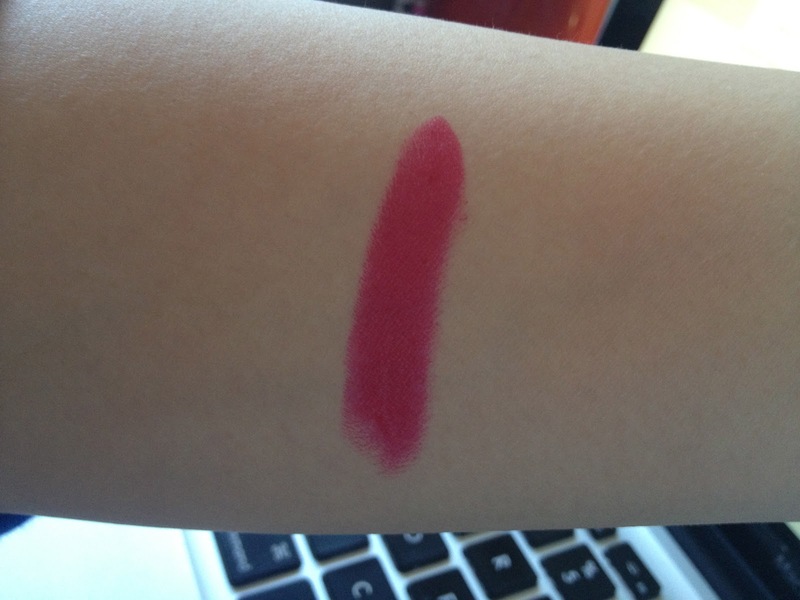 The blush is very sheer so I didn't do a swatch of it as it wouldn't show up in photos. 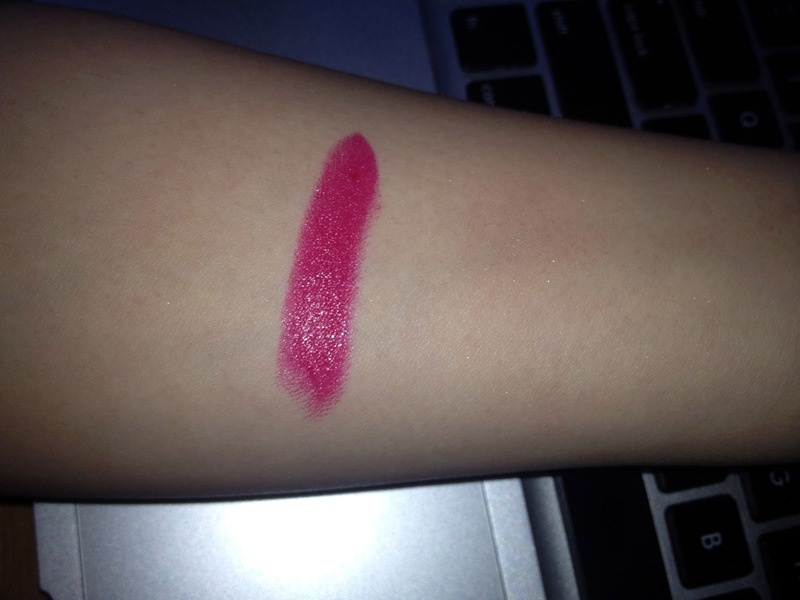 It's not very pigmented and gives my cheeks just a hint of colour. The container is also very flimsy and it creaks every time I open it. I'm not too impressed by it but I was drawn to it as it's limited edition and I didn't want to regret missing out on it. I really regret missing out on the MAC Watch Me Simmer lipstick that was released earlier this year. I found it on eBay but I'm not sure if I trust the sellers :P Does anyone know of any reputable MAC resellers? Wow, the packaging is tres chic! A wonderful bright shade and such gorgeous packaging too of course! Ah you lucky girl! I tried to get my hands on Scarlet Ibis but it was sold out everywhere! Gah!! I think AU$38 is rather pricey considering you only pay less than half that price in US! It's simply not fair to us! 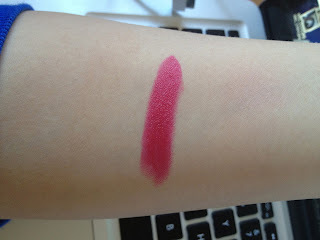 When I found out NARS lipsticks were AU$50+, I laughed and walked away. Lol. I don't know why makeup prices are jacked up so much in Australia! Love the packaging of this collection, and the shade you chose is so pretty. It's a shame about the blush but it'll still be nice to have in your collection. I've bought an authentic mac lipstick on eBay before just do a bit of research and you should be fine. too bad for the blush. I got the beauty powder and the Scarlet Ibis lipstick. if not for being limited edition, I probably wouldn't get any. haha!